Senani Ponnamperuma - The Musing of an Adventurer: SIgiriya Facts: Who Built Sigiriya? 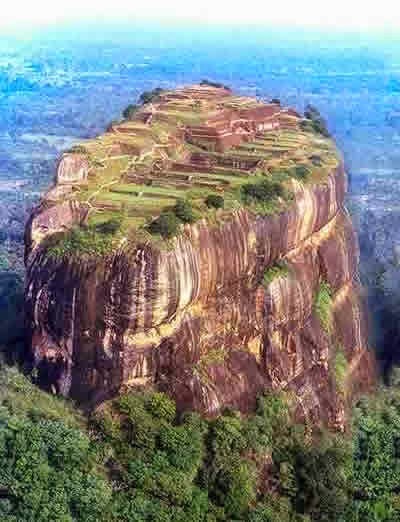 SIgiriya Facts: Who Built Sigiriya? The Sigiriya Rock Fortress was built over 1600 years ago by King Kasyapa the second monarch of the Moriyan Dynasty of the Anuradhapura Kingdom. Kasyapa ascended the throne in 477 AD by having his father murdered. Unable to redeem himself with the people for this terrible crime he abandoned the royal capital of Anuradhapura and built himself a new one deep in the forests of central Sri Lanka. Monarchs before Kasyapa expended their energies building religious edifices for the glorification of the Buddhist faith as self-aggrandizement of any sort was strongly frowned upon by society. Having being rejected and ostracised by the Buddhist clergy, Kasyapa no longer left bound by these religious constraints and spent his vast wealth building a royal residence of unsurpassed beauty. This was Sigiriya. Read ther whole story at the website Sigiriya or buy the book The Story of Sigiriya available in paperback, hardcover and ebook format.